Our software specialists build and implement secure, dependable, and customized online payment processing software that is easy to use and features multi-currency and multilingual system connections. 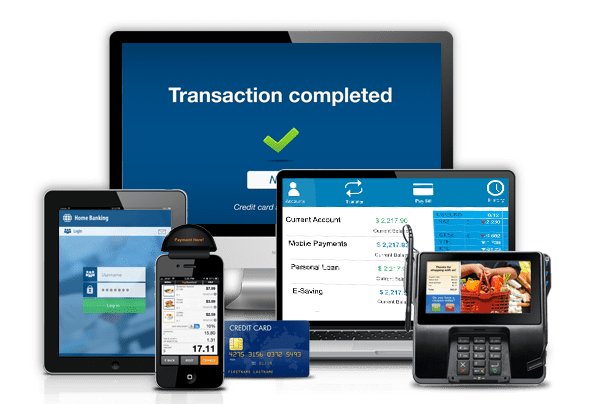 Chetu creates custom online payment solutions for accepting credit cards, debit cards, electronic balance transfers (EBT), ACH, mobile payments, prepaid cards, remittance, Bitcoins, plus international cards and currencies. We develop web-based virtual terminal interfaces for mail order/ telephone order (MOTO) sales, Card Not Present (CNP) payments with Interactive Voice Response (IVR) modules for touch tone processing. We program and design ecommerce shopping carts and hosted checkout solutions that integrate seamlessly with popular platforms including Shopify, BigCommerce, Magento, PrestaShop, and more. We build online payment apps and custom integrations to prominent payment gateways including Square, PayPal, First Data, SecurePay, Authorize.Net, Worldpay, Amazon Payments, Adyen, Skrill among others. Our engineers implement end to end encryption such as P2PE to reduce PCI-Scope, Secure Socket Layer / Transport Layer Security (SSL / TLS) encryptions, 3D Secure protocol, firewall protections, embedded IFrame and tokenized data for server-side codes that complies with PCI consumer protection standards. We also encrypt virtual keypads to protect card holder data. We program advanced fraud prevention platforms with customized rule-based engines, Address Verification Service (AVS), EMV pin pads, and card code verification CVV /CVV2 with support for Verified by Visa and MasterCard SecureCode. We build programs for recurring, metered billing, open/closed loop cards, multiple subscription billing and payment modules for automated handling of dynamic recurring billing. We use Batch Uploads from enterprise applications or other file-based systems. We develop modules to push final invoices to card holders’ mobile device or email to avoid hand keying transaction errors. We engineer card-on-file platforms with custom UI/UX components, real time validation, localization, formatting and masking for shopping cart purchases and bill pay solutions with support for Google Wallet, Apple Pay, Android Pay, and MasterPass. Drop us a line or give us ring about online payment processing software development. We love to hear from you and are happy to answer any questions.